But as the Dalit writers discuss their literature and politics, turbaned working class men serve rotis. “Voice of Rajasthan,” exclaims Zee News, a right-wing national news channel and the official sponsor of the Jaipur Literature Festival (JLF), over and over again from big, bright roadside billboards. As I ride from the Jaipur airport to Diggi Palace, I am reminded of the commercial scale of this event. Formerly a royal palace, the venue now services a different kind of royalty as a heritage hotel and the site of the tenth JLF in the capital city of Rajasthan. Paradoxically, it is this corporate sponsor, which recently made headlines for telecasting fake news, that enables the participation of a panel of Rajasthani Dalit writers, among other lesser known writers such as Kashmiri poet Naseem Shafaie, Rajasthani writer and critic Geeta Samaur, and Odia translator Jatindra K Nayak. It also renders JLF the world’s largest free event of its kind, according to the official website. But as the Dalit writers discuss their literature and politics, turbaned working class men (Rajasthan is notorious for its discrimination against women) unaware of such a panel, serve rotis, providing the silk-clad speakers and delegates with an “authentic” and exotic Rajasthani-Indian experience. These servers aren’t invited to attend the panel on “Cultural Appropriation” either. I eat rotis off their tongs all five days. In a hurry to catch a beloved writer or a publisher “contact” at the lunch table and pushed by the impatient hungry guests, I don’t stop to ask what the turbaned roti-makers think of all this. I collude as well, to appropriate their stories and voices. Jaipur BookMark (JBM) is a B2B event that focuses solely on translation. In this glitzy literature festival, translation finds a spot for the third-year running and Asymptote Editor-at-Large for India, Poorna Swami, and I, are at JBM to represent the journal. The B2B format asks that the speakers pay for their travel and accommodation, as opposed to the main JLF event. We camp with a generous family friend in the suburbs, but are still of a class that can afford flight tickets. Feminist publisher Urvashi Butalia of Zubaan Books would later rue this lack of funds in one of the panels, but not without asserting that some voices simply must be recorded and made available to the wider audience, even if it means waiting a long while before some of these books see the dingy light of a printing press. Far from the madding crowd dressed in their winter festival best, right at the entrance to Diggi palace but unnoticeable, and covered by at least three security guards at all times, is the JBM venue. 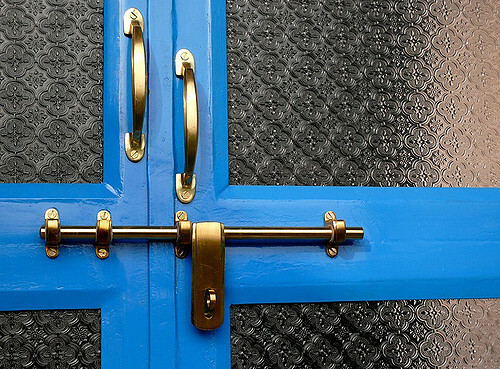 On a quaint terrace, it’s exclusive to invitees—translators, publishers, and writers. As one eager member of the audience fights to be let in, the Festival Producer Sanjoy Roy, who happens to be passing by, waves her in with a welcoming hand. The tame audience, hovering between ten and thirty, reveals that not many others have come upon such serendipitous generosity. The recurring few participate in enriching discussions over five days—on the politics of translation; the difficulty and the joy of it; and the omniscient complaint of abysmal funds and supporters, despite the obvious necessity for literary translations in an ever divided world. 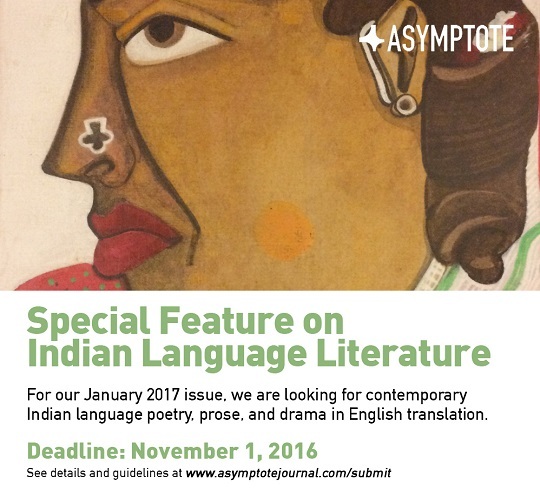 Only two weeks left to submit to Asymptote’s first-ever Special Feature on Contemporary Indian Language Literature in English Translation! Since we first announced the Feature in August, we have received some very exciting work from all across the Indian map. And we can’t wait to find more voices, because in a country so large, we know there are more out there. Take advantage of these last two weeks to revise your best translations and send them in!